Crunchyroll - Every Ending Theme in JoJo's Bizarre Adventure, Ranked! Every Ending Theme in JoJo's Bizarre Adventure, Ranked! JoJo’s Bizarre Adventure has amazing selections for ending themes, but which is the best? 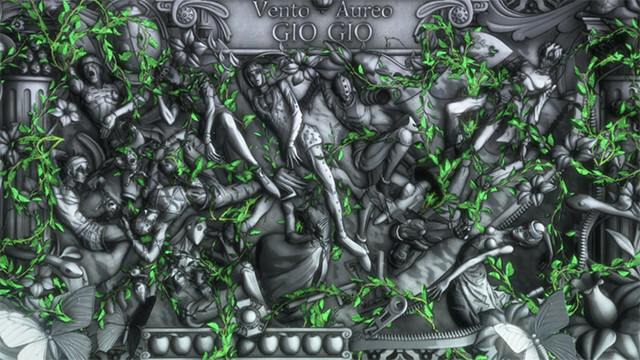 JoJo’s Bizarre Adventure has always been deeply tied to music, with many characters and Stand names being derived from various musicians, song titles, and bands, so it comes as no surprise that the ending and opening songs of JoJo’s need to be meticulously chosen and crafted to match the themes of the JoJo chapters they’re attached to. Danni already did a great job ranking the opening themes, and you can read about that over here if you like, but today we’ll be looking at the various ending themes and trying to come up with the answer as to which one is the absolute best! Before we get into the individual songs and where they stand in the ranking, I wanted to discuss how I'm going to take a look at each one. I'll be ranking them based on suitability to their JoJo series, overall listenability, and their ability to evoke specific ideas and themes from the show itself. 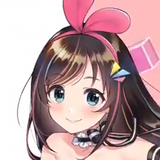 Before we get started, I figured it’s only fair to give an honorable mention to the following songs: "Great Days UNITS" version, along with the "Akuyaku◇Concerto ~Oingo & Boingo~" and "Akuyaku◇Concerto ~Hol Horse & Boingo~" songs. "Great Days UNITS" was an amazing way to end the Diamond is Unbreakable part of the series, but since it is also the opening theme for the latter half of the series as well, it really doesn’t fit into a listing of only ending songs. The two Akuyaku Concerto songs are amazing and definitely worth a listen, but they’re really specifically dependent on those 3 episodes of Stardust Crusaders and don’t have much, if any, bearing on the rest of the series at all. While I love these, it didn’t seem fair to include them in the regular ranking, as they’d just be in the bottom anyway, so I wanted to give them a little attention here and then move on to the real list! Coming in last on the list is The Bangles’s “Walk Like an Egyptian”. The catchy 1986 pop tune has been a hit on pop and now throwback radio stations since it came out, and the song was highly popular when it came out, hitting the top spots of the Hot 100 in the US, as well as putting out high rankings on UK and US singles charts when released. The album it came from, Different Light, had another hit in “Manic Monday”, which helped secure the band a number 2 spot on the Billboard 200. 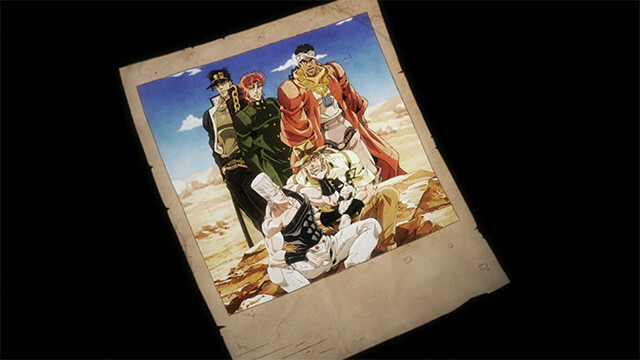 The song itself seems to fit into the overall idea of the first half of Stardust Crusaders, in which Jotaro and company are literally trying to reach Egypt, but doesn’t have quite as much of a connection to the themes or mood of the episodes aside from that, as some other songs do. While this choice was a fun one for the series, it doesn’t seem to have as strong of a connection as later ending songs do, and doesn’t quite evoke a sense of excitement in hearing it play as an episode ends, and doesn’t have as clean of a lead in as other songs do either. Although it’s a great bop to nod your head to, there isn’t much else here to it, and the song itself floats a bit more on its popularity and notoriety as a popular song than it does on any other type of connection to JoJo or Hirohiko Araki, although you could possibly argue that the “Walk like an Egyptian” dance in the music video occasionally makes people pose like a JoJo character! Number four on the list is Golden Wind’s choice of “Freek’n You” by Jodeci. 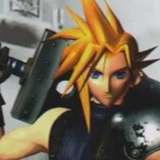 This choice caused quite an uproar amongst Western fans when it was revealed, as many had initially believed Coolio’s “Gangsta’s Paradise” would have been a more fitting choice. Frankly, the content of “Gangsta’s Paradise” doesn’t fit with the series at all, being a somewhat sombre rap ballad about the danger and darkness of living in a proverbial gangsta’s paradise. 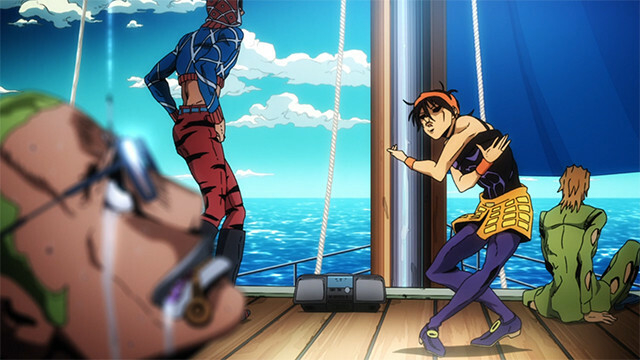 Instead, the Golden Wind anime features a particularly sensual version of Italian mafia aesthetics, particularly in the Bucciarati group, making the smash hit R&B song a much better selection. Part 5 breaks from the JoJo norm in a few ways, featuring characters that are less physically threatening, as well as more unique and odd Stand powers, such as Pesci’s deceptively dangerous Fisher Man. I've mentioned before a few reasons why Jodeci and JoJo are a great match, and the R&B group are just as unique and important to music as JoJo is to anime and manga. With that said, you might ask why it seems to be so low on my list, but with only five songs to choose from, it’s less a judgement of quality and more about which seems to match with its particular series best; in that case, Jodeci’s song is a good fit, but a few others really edge it out of my top spots. The final three slots of my list are pretty close, with each one edging the other out by just a little bit! 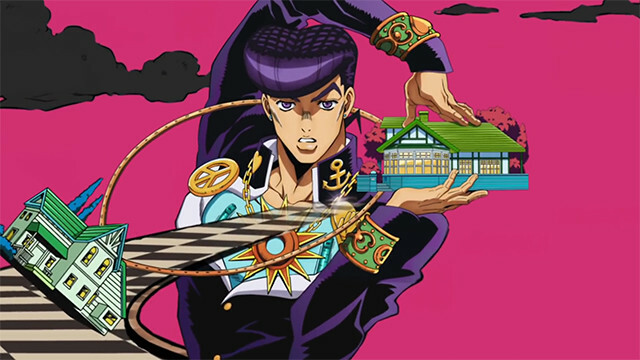 Third place goes to Savage Garden’s “I Want You”, the 1996 pop-hit that finds a perfect home as a compliment to the 90s aesthetics of Diamond is Unbreakable. Like the other songs in my top three, I felt that this one really meshed with the designs and ideas of Part 4, and it seems that Araki agrees! 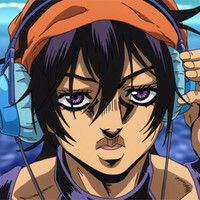 On his website, Araki wrote that he felt that the song’s unique style and touch of progressive music styles really meshed with his ideas for Part 4. I have to say that Araki is 100% right here, as the slow, rhythmic start to the song gives way to a rising change that mixes somewhat soothing beats into a more energetic song is a great fit for Diamond is Unbreakable, which tends to move between small, close comedy scenes and dramatic murder mystery. “I Want You” loses out a bit to the last two songs on my list, mostly due to their overarching thematics to the stories they’re attached to, but this one certainly deserves to be in the top 3 spot due to how fitting it seems to be for Josuke and the gang. In another world, this choice might have been my controversial top spot, but “Last Train Home” by the Pat Metheny Group certainly takes an easy silver here as our number 2 ending song. While “Walk Like an Egyptian” is a somewhat fun and upbeat song, “Last Train Home” kicks off the second half of Stadust Crusaders with a melancholic jazz melody. 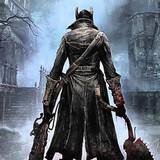 For us, this song takes the cake over quite a few others due to the way the song’s melodic theme matches the grim realization of Part 3’s impending end, and is one of the best endings to mix the audio with important visual cues, such as certain characters being positioned in certain ways (across the river, facing away, number of tickets, etc.) foreshadowing the tragic fact that not everyone will make it back alive after facing DIO. Perhaps even more interesting is the fact that Araki considered the album As Falls Wichita, So Falls Wichita Falls by Pat Metheny and Lyle Mays to be particularly important to developing Steel Ball Run, Part 7 of the JoJo series, giving this song an even stronger link to the JoJo universe than it might originally seem. The Jazz fusion themes of the song help give it a particularly unique sound and style, making it individually memorable for a song that didn’t have much radio play compared to some of the other selections. Ironically, it shares something in common with my number 1 selection, in the sense that the song is about 5 times longer on its own than it is during the ending sequence of the show. It’s pretty obvious what my last choice is, so without further ado, the number 1 ending song in JoJo is: “Roundabout” by Yes! It likely doesn’t come as much of a surprise that it ended up here, but I'll talk through my selection process. 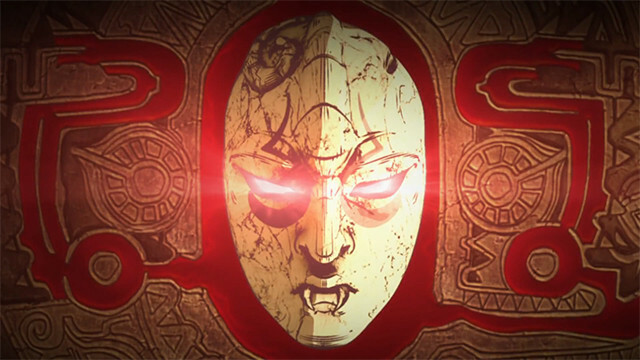 First of all, it’s the only song to accompany two parts of the JoJo series, both Phantom Blood and Battle Tendency, but Araki considered the song one of the influential pieces for his writing process during the beginnings of the manga, and it's a song Araki requested be used in the anime itself. The sound director, Yoshikazu Iwakami, was the one who noticed that the song fit so well with the closing scenes of episode 6, and worked to make it blend into the ending of each episode following it. 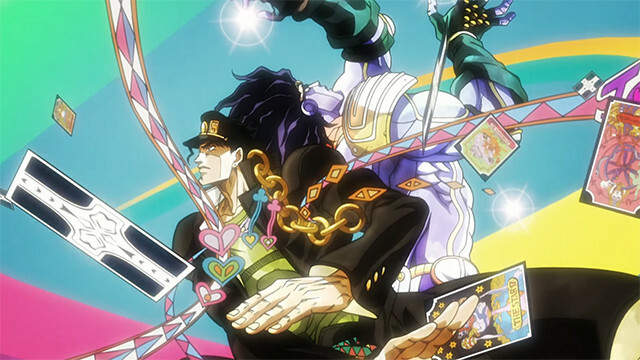 As numerous memes have since made use of, the classic guitar lead in of the song giving way to the ‘to be continued’ arrow and then the ending sequence became one of the hallmarks of the first parts of the JoJo’s anime. But I knew why the song would probably get to #1 and why it fits so well, so instead, let's talk about the song itself and what it has in common with JoJo’s. Many of the songs chosen after it were chosen for the fitting musical period and style of the era that the story takes place in, but “Roundabout” ironically doesn’t fit this mold; Part 1 is far too archaic for the song to have existed, and Part 2 is too early for the song as well, with Yes publishing the song in 1972. The link is established more by Araki’s stated influence of the song on his work, and the progressive rock stylings of Yes, that lends to the way JoJo operates as a whole. Progressive rock (or “prog rock") is a style of music that isn’t focused on progressive politics, but “progressing” music by being highly experimental, drawing upon various types of other musical styles, unusual instrument choices, song lengths, and almost any other experimental type of idea that could influence the songs. And there you have it! As I keep watching Part 5 (and the hopeful continuation into Parts 6, 7, and 8), we’ll see if any new ending songs come out to challenge our list. Maybe in a few years, we can revist this list and see if any song was capable of dethroning “Roundabout!” Until then, I’ll keep rocking that JoJo ending playlist and enjoying the vast and different musical styles that Araki and Lucky Land have graced us with in-between waiting for new JoJo episodes! Do you agree with my list? 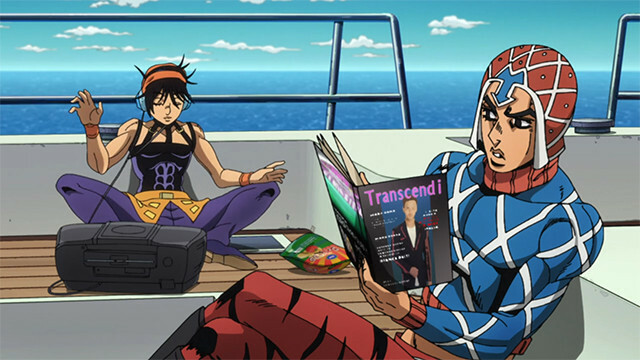 What’s your favorite JoJo ending song? Let us know in the comments! Square Enix Files Secret of Mana, Final Fantasy Adventure Trademarks in the U.S.